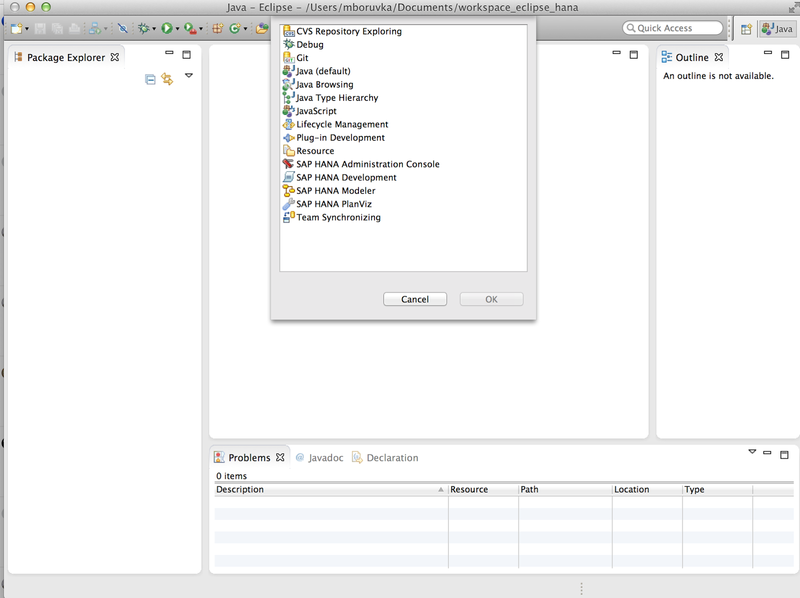 This may be useful for any Mac users who are developing or administering SAP HANA: as you may noticed long time ago Mac version of SAP HANA Studio was available for download here: https://hanadeveditionsapicl.hana.ondemand.com/hanadevedition/ . Unfortunately, recentlyMac version disappeared and only versions available for download are Windows and Linux versions. 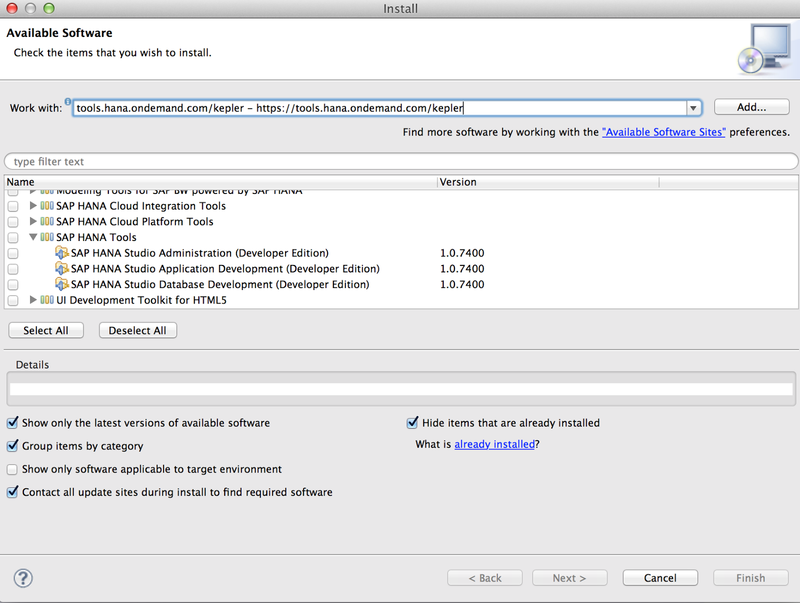 You can get most recent version of HANA Studio running on your MacOS easily. After restart, switch to HANA perspective and you are ready to start! 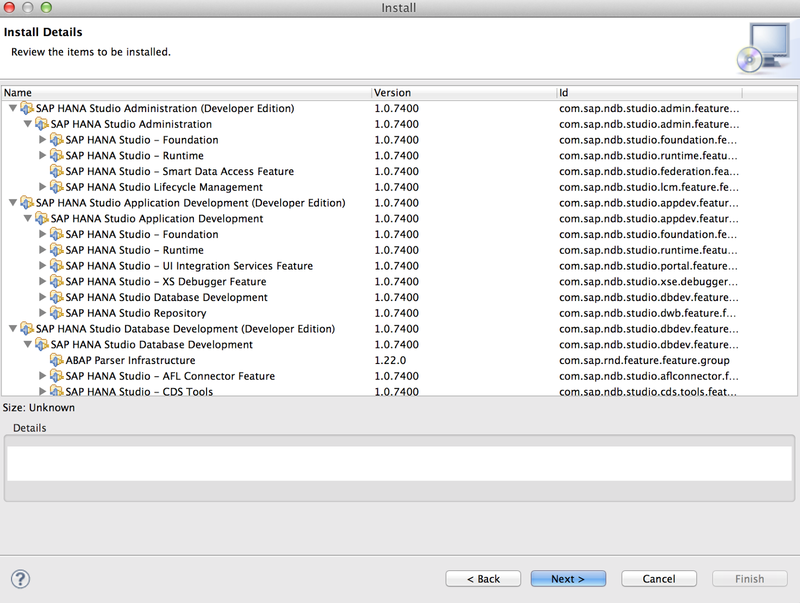 Copy of this post is located here: How to install SAP HANA studio on Mac OS? It was nice article it was very useful for me as well as useful for SAP HANA ADMINISTRATION ONLINE TRAINING learners thanks for providing this valuable information. Thanks for InformationFlax IT online training began online training for Software program and SAP courses. Online training is the better option to study software products as well as programs, which are SAP modules, like SAP HR, SAP FSCM, SAP BASIS, SAP ABAP, SAP BW, SAP ED ADMIN, SAP SECURITY, SAP SRM, SAP SCM, SAP GRC etc., and Software Courses like JAVA-J2EE, PeopleSoft, Tibco courses, Microsoft Courses, Network and System Admin, Oracle Courses, SAS, Testingtools, PMP, Cognos, AB Initio, ORACLE and Database etc.. This sap hana admin online training course not only gives an overview but provides you with a thorough in-depth knowledge about how the sap hana works.